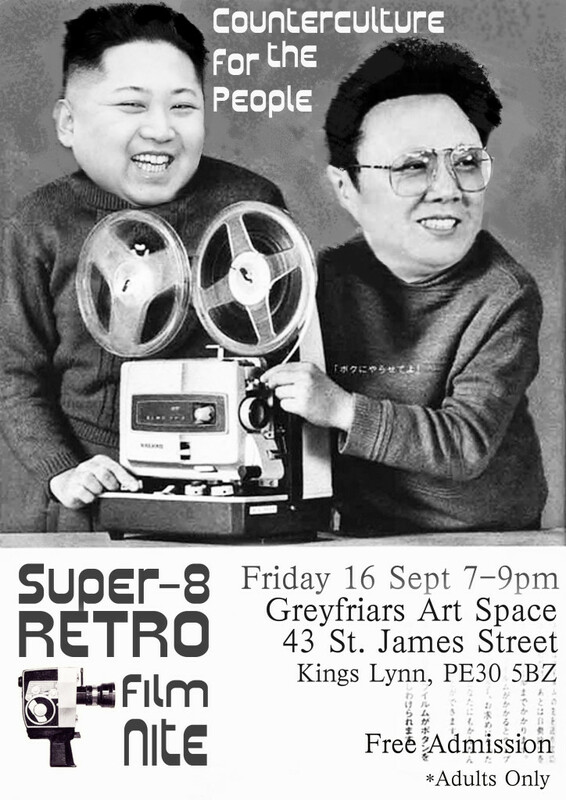 Chris Mizsak from the Cambridge Super 8 Group will present a brief overview of how Super 8 film became a favoured format for low-budget grindhouse horror. 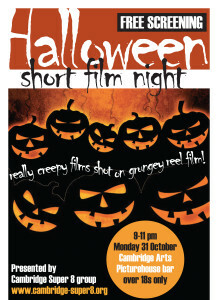 The talk will be followed by the second session of Nasty, Brutish and Short—a showreel of bite-size horror flicks by international filmmakers from the Cambridge Super 8 Film Festival archive, including a selection of recent award-winning shorts specially submitted for Fear in the Fens. A vision from a nightmare… awake or asleep? Inspired by a 19th century poem. An act of greed revisits an woman in old age. A music video shoot in an abandoned cinema. Something unexpected is lurking in the forest. 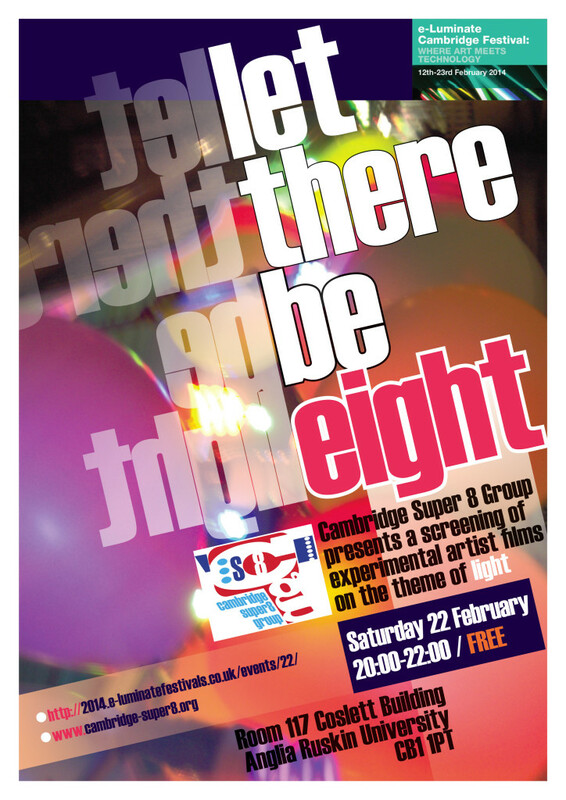 Presented by the Cambridge Super 8 group with plenty of zombies, horror, gore selected from our festival archive. 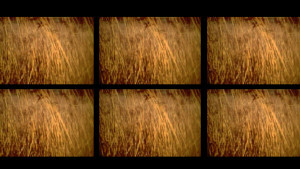 As part of the e-Luminate festival, The Cambridge Super 8 group presents a screening of experimental films on the theme of light. 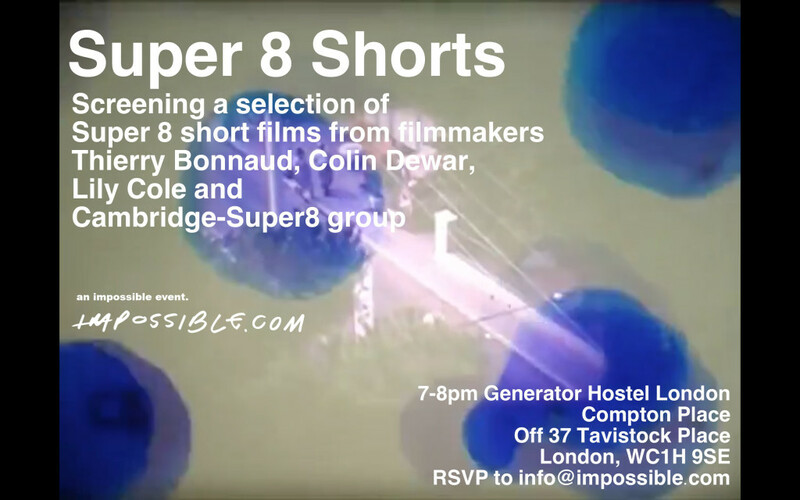 Tony Clarke will present a programme of short zombie movies and other horror stories shot on Super 8 film. 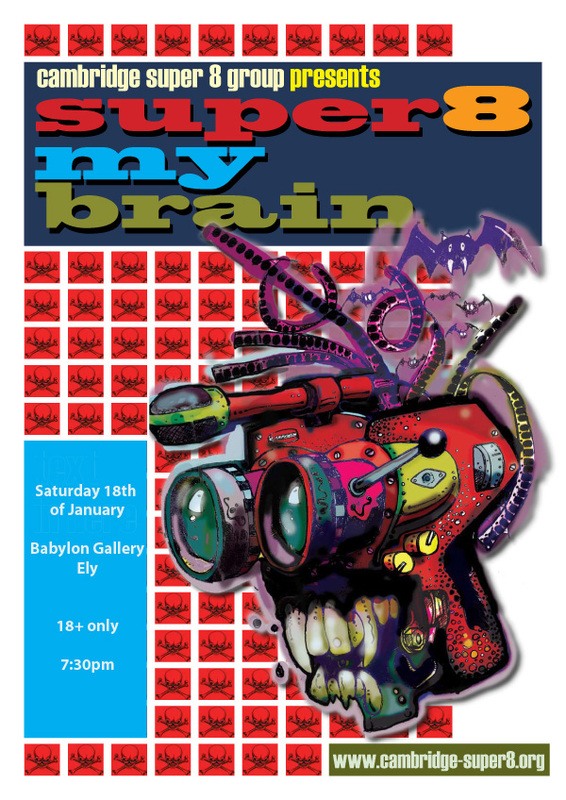 Shocking and hilarious by turns you are sure to have a memorable evening. Last summer, over 40 people took part in a LIVE DUCK SHOOT filming Ely’s Muscovy Ducks with Super 8 cameras on Ely Riverside. 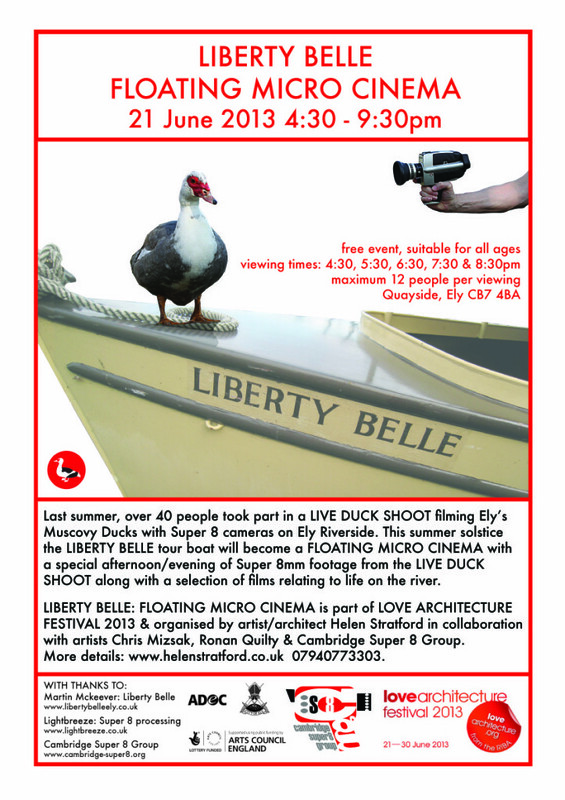 This summer solstice the LIBERTY BELLE tour boat will become a FLOATING MICRO CINEMA with a special afternoon/evening of Super 8mm footage from the LIVE DUCK SHOOT along with a selection of films relating to life on the river.